All puppies will now have to be microchipped to make it easier to trace the owners of dangerous dogs. Ministers will say that compulsory microchipping will ensure that all dogs can in future be traced back to their owners, who will then be held accountable for the animal’s behaviour. There have been growing calls for the Government to take action amid concern from animal charities about dangerous dogs being used as weapons and status symbols. Under the measures to be unveiled by Owen Paterson, the Environment Secretary, dog owners will also now face prosecution if an animal attacks anyone in their home. Those plans will be welcomed by postmen, who have campaigned for a new law ensuring that dog owners are prosecuted even if their dog attacks someone on private property. Current rules mean that legal action is only taken if a dog attacks a person on public land. The number of patients treated in hospital for dog bites has more than doubled in a decade to more than 6,000 a year. Groups including the RSPCA and the Dogs Trust have called for compulsory microchipping to create a clear link between dogs and their owners. The electronic chips hold an electronic record of their owner’s name and addresses, as well as a unique identity number. Implanting can cost as little as £5, however the Telegraph understands that the scheme could be subsidised to avoid pet owners being forced to pay for the chips. Ministers believe the effect of the new rules will be near-universal coverage of British dogs within little more than a decade. Recent surveys have suggested there are about 8.3 million dogs in Britain. More than half already have microchips. 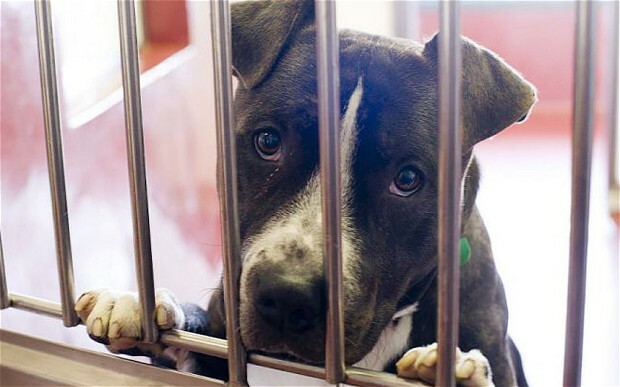 Animal charities say there is a growing problem of people abandoning dogs. Defra last year estimated there are about 125,000 strays in England and Wales. About 6,000 healthy animals are destroyed each year because they have no permanent home. Northern Ireland last year became the first part of the UK to introduce a law on microchipping. Andrew Rosindell, the Conservative MP for Romford, welcomed the announcement and said that the moves will also prevent local authorities from having to spend “huge amounts of money” kennelling lost dogs. Ministers last year announced that owners of dangerous dogs which attack people in public will face stiffer penalties, including up to 18 months in prison. The future of law will be computerized. Here’s a Friday afternoon head-scratcher: What will legal systems look like in 1,000 years? No, really. If our arbiters of right and wrong become more highly automated, will we be smoothing over the imperfections of Lady Justice, or placing our respective fates in the hands of heartless machines. What will sentencing guidelines be like after the singularity? If it’s not clear yet, we’ve been reading an account of a Peter Thiel guest lecture in a Stanford Law School course on legal technology. This is not for the faint of heart. Our human-based legal system is dependent on the arbitrariness of the actors, that’s sometimes bad, and sometimes good. Bad in the case of a biased jury or a pissed off judge. Good because if we all got hauled into court every time we broke the law we’d spend our lives shuttling back-and-forth from jail. If uniformly enforcing current laws would land everyone in jail, and transparency is only increasing, we’ll pretty much have to become a more tolerant society. In which case, we may join Mr. Thiel in looking forward to a Hal of justice. Rise of the machines, end of the humans? In the movie Terminator, machines had grown so intelligent that by 2029 they had effectively taken over the planet, seeking to exterminate what remained of the human race along the way. While that is firmly in the camp of science fiction, a team of researchers from Cambridge, England, are investigating what risk, if any, technology poses to mankind. The research, conducted by the Centre for the Study of Existential Risk (CESR), will look at the threat posed by technologies such as artificial intelligence, nanotechnology and climate change. While many of us may think it unlikely that robots will take over Earth, the scientists at the center said that dismissing such possibilities would in itself be ‘dangerous’. “The seriousness of these risks is difficult to assess, but that in itself seems a cause for concern, given how much is at stake,” the researchers wrote on a website set up for the center. The CSER project has been co-founded by Cambridge philosophy professor Huw Price, cosmology and astrophysics professor Martin Rees and Skype co-founder Jaan Tallinn. “It seems a reasonable prediction that some time in this or the next century intelligence will escape from the constraints of biology,” Prof Price told the AFP news agency. 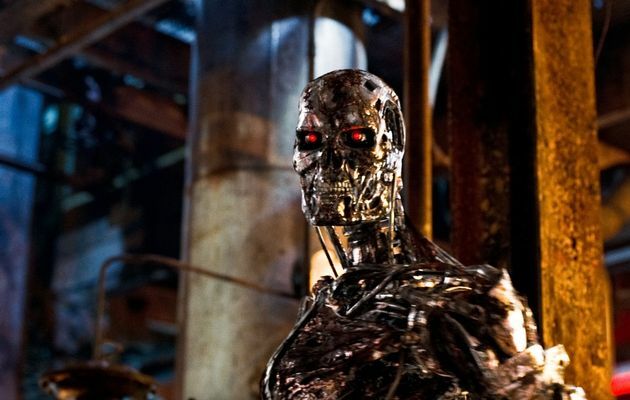 A screen shot from Terminator Salvation. File picture. Image by: Industrial Light & Magic. Hollywood-style robots able to shoot people without permission from their human handlers are a real possibility and must be banned, campaigners warn. The report “Losing Humanity” – issued by Human Rights Watch and Harvard Law School’s International Human Rights Clinic – raised the alarm over the ethics of the looming technology. The US military already leads the way in military robots, notably the unmanned aircraft or drones used for surveillance or attacks over Pakistan, Afghanistan, Yemen and elsewhere. But these are controlled by human operators in ground bases and are not able to kill without authorisation. Fully autonomous robots that decide for themselves when to fire could be developed within 20 to 30 years, or “even sooner,” the 50-page report said, adding that weapon systems that require little human intervention already exist. Raytheon’s Phalanx gun system, deployed on US Navy ships, can search for enemy fire and destroy incoming projectiles all by itself. The X47B is a plane-sized drone able to take off and land on aircraft carriers without a pilot and even refuel in the air. Perhaps closest to the Terminator-type killing machine portrayed in Arnold Schwarzenegger’s action films is a Samsung sentry robot already being used in South Korea, with the ability to spot unusual activity, talk to intruders and, when authorised by a human controller, shoot them. Fully autonomous fighting machines would spare human troops from dangerous situations. The downside, though, is that robots would then be left to make nuanced decisions on their own, the most fraught being the need to distinguish between civilians and combatants in a war zone. “A number of governments, including the United States, are very excited about moving in this direction, very excited about taking the soldier off the battlefield and putting machines on the battlefield and thereby lowering casualties,” said Steve Goose, arms division director at Human Rights Watch. While Goose said “killer robots” do not exist as yet, he warned of precursors and added that the best way to forestall an ethical nightmare is a “preemptive, comprehensive prohibition on the development or production of these systems.” Jody Williams, the 1997 Nobel Peace Prize laureate, said in Washington that the prospect of killer robots “totally freaked me out.” “I had visions of the Terminator,” she said. “If a robot goes wrong, who’s accountable? It certainly won’t be the robot,” he said.